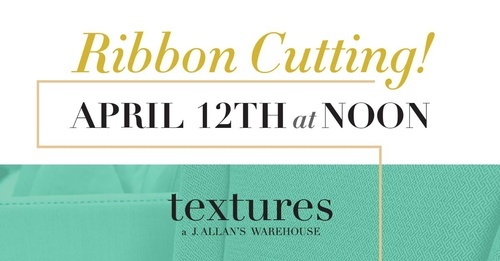 Join us in celebrating the grand opening of Textures, a J. Allan's Warehouse in New Orleans! We have acquired an ultra-hip warehouse in uptown New Orleans that will be open 3 days a month. By keeping our overhead low & partnering with our current suppliers, we will be able to bring you a limited, eclectic, high-end design assortment of ever changing, one of a king inventory at prices taht will be up to 60% off retail. By being open only once a month, it allows us time to acquire and replenish the warehouse between each & every sale. The J. Allan's you expect in an unexpected way.